Here’s some LiDAR data from the City of Charlotte Pilot project. The images below shows the different data stored in the point cloud. This information is useful to our team of processors during the data extraction phase. 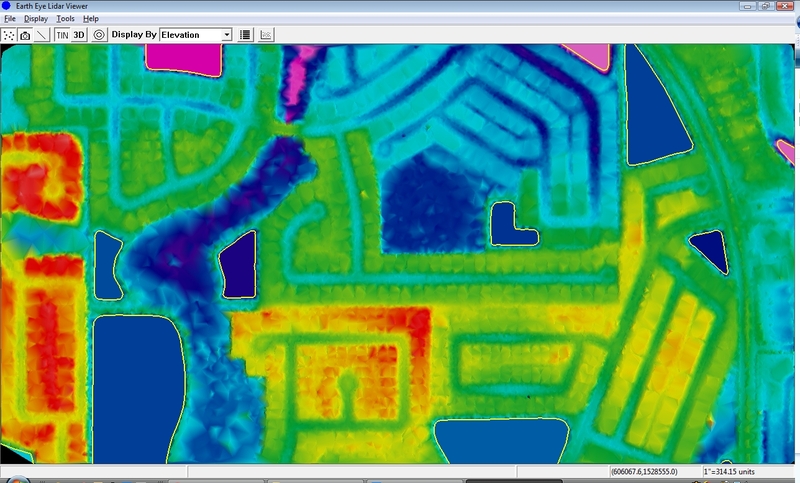 For example, the image below shows the LiDAR point cloud themed by intensity. 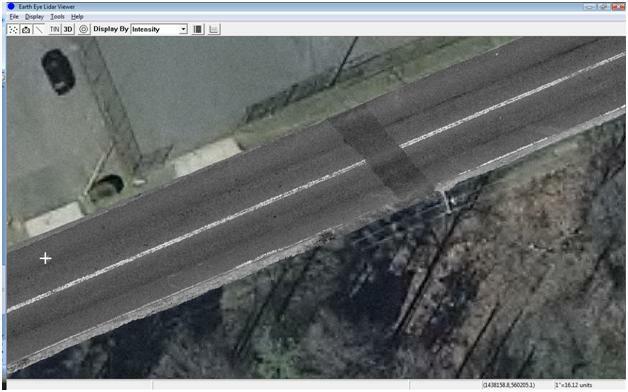 The intensity information can be used to extract different types of vector data such as the road centerline, edge stripes, pavement markings and other special pavement markings. 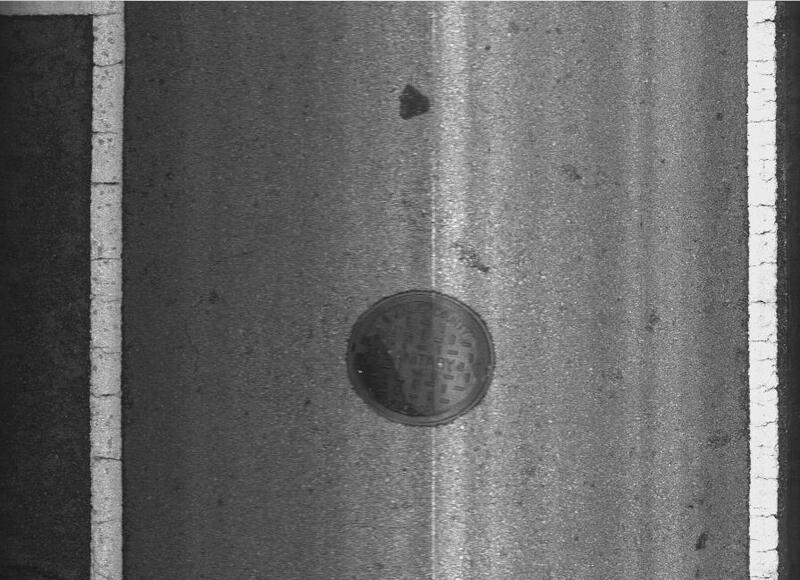 The intensity values can be used to assess the condition of the markings based on its reflectivity. Basically, the markings are reflective or they’re not and that is a representation of their condition. The point cloud can also be used to generate contours. The image below shows contours that are 0.1-foot. 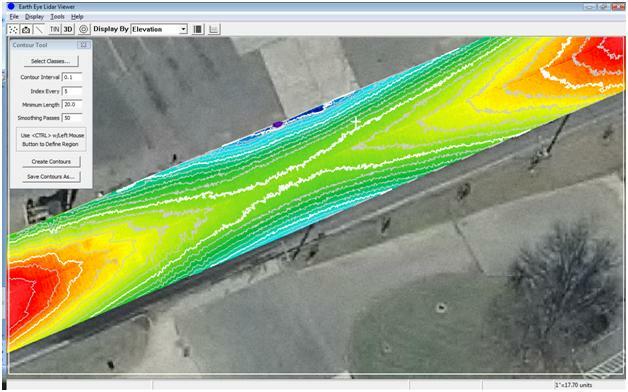 A trained eye can see the usefulness of this data in that a roadway transition is occurring in this area. 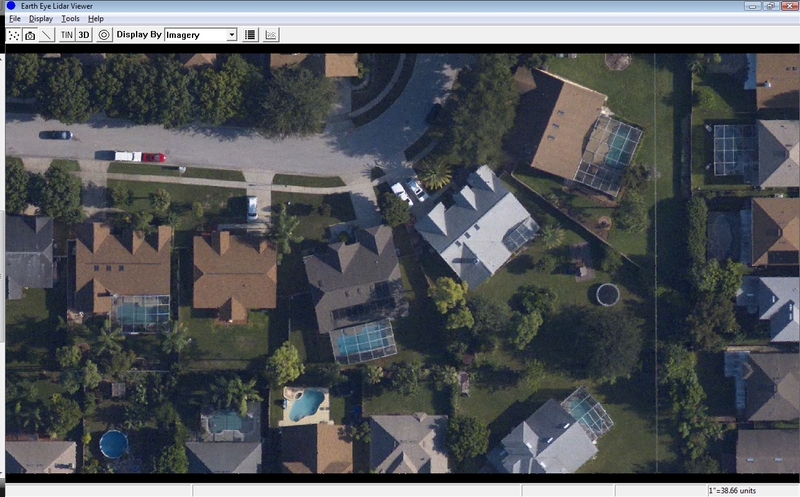 The next image shows a roadway profile from the same area. 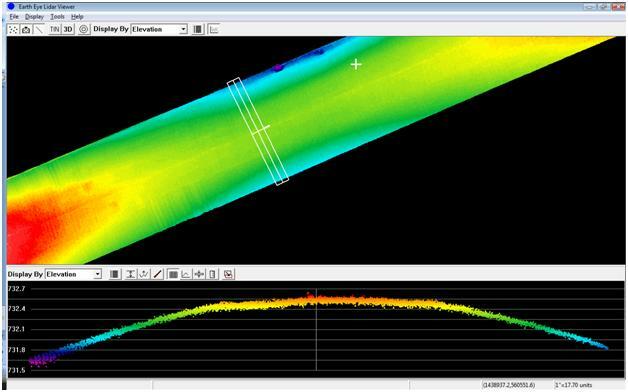 This profile information can be used to generate cross-sections at any interval along the roadway.